Penn State basketball fans may recall Tom Hovasse ’89, who suited up at forward for the Nittany Lions from 1985 to 1989 and averaged 14.7 points and 6.3 rebounds per game over his career. Hovasse will be in Rio for the Olympic Games this year. Since he’s a little past his playing days, he’ll instead go as an assistant coach with Japan’s women’s national team. 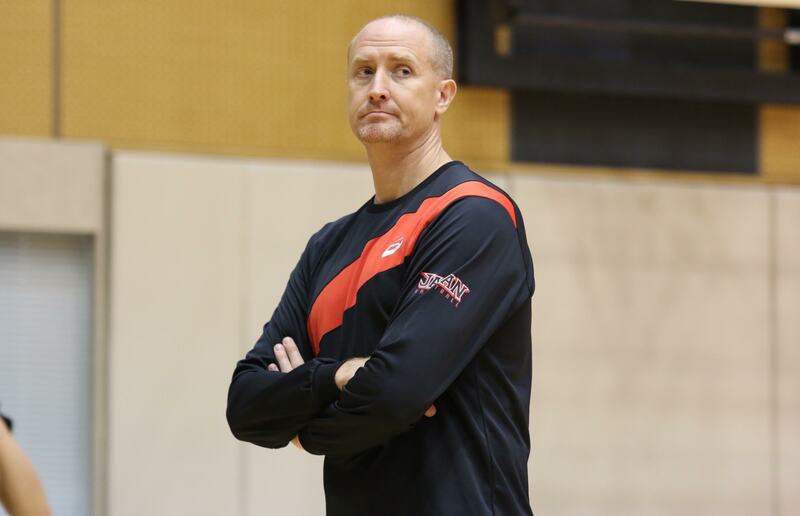 After playing in Japan for several years during his pro career, Hovasse returned to the country in 2008, when he became the head coach of a professional team. Then, in July of 2015, Hovasse joined the national team as an assistant. While it will be a tough task knocking off the United States – the No. 1 team in the world and winners of the last five Olympic gold medals – Japan has a relatively favorable draw in group play, so medaling isn’t that crazy of a thought for the No. 16 team in the world. Japan has played well recently, beating two top-10 teams (fifth-ranked Czech Republic and eighth-ranked China) during the lead-up to the Games. For more on Hovasse and the Japanese women’s national team, check out this story from PennLive. And if you would like to follow Japan during the Olympics, here is the team’s schedule. Entry filed under: Athletics. Tags: 2016 Olympics, Penn State Basketball, Tom Hovasse.